Wee County was set up in 2001 by John and Jane Eccles. Since then our club has grown and we now have 5 horses, 6 lungers/coaches and about 30 members. We train on Tuesday nights at Balhearty Farm, Tillicoultry from 7 til 8.30 for beginners/Intermediate vaulters and 8.30 til 10 for Advanced vaulters. W.H.Bentley, better known to us as Henry, born in 1994, and has been part of Wee County since 2000. 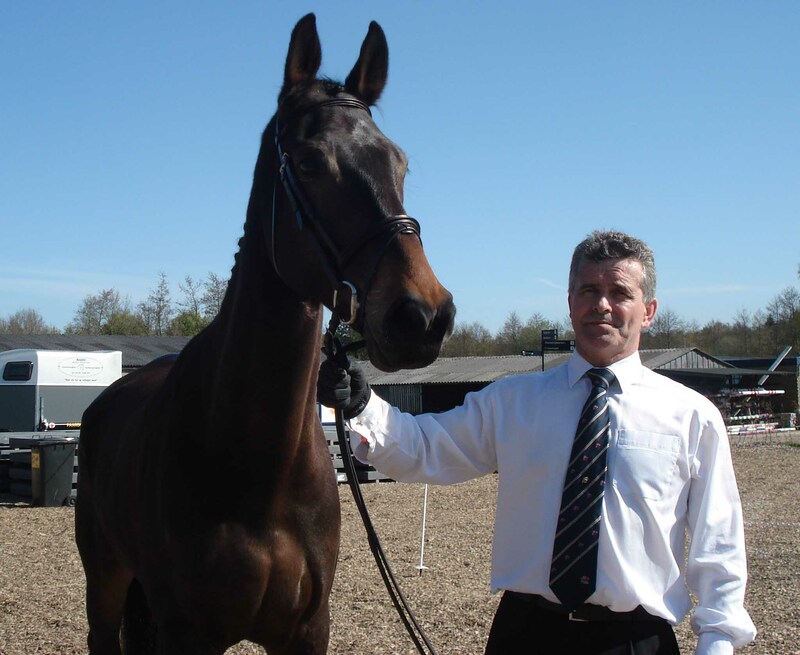 He started competitng Internationally in 2002, and was the British team's horse for the World Equestrian Games (WEG) in Jerez 2002. Since then he has competed in every major championships as well as other competitions. He is also an individual horse. He took the British team to 5th place in WEG 2006, and a British individual to 10th. He won the European Championships 2009,2011 the World Championships 2010,2012 and 2014 with Joanne Eccles. He has also won three silver medals in the European Pas de Deux class in 2010, 2011 and 2013 as well as a further silver at the World Championship in 2012 and a bronze at WEG in 2014. Baroque, or Brock has been part of Wee County since 2003. He was born in 1995. He is also both a team and individual horse. He first competed Internationally in 2004. He was the British junior team horse at the Europeans 2006, carrying them to 6th place and also reserve British team horse in WEG 2006. 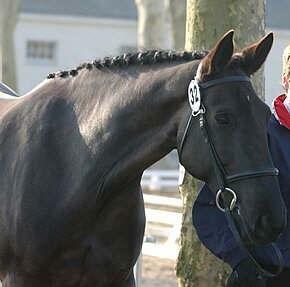 Baroque won his first CVI** in Saumur, France 2007. He is now focusses most of his time on the younger vaulters, allowing them to progress on a steady and reliable horse. Tylers Kernel, Tyke has been with us since April 2007. He was born in 2000 and also loves to jump!! Tyke took part in his first ever competition in March 2008 and competed in his first international in Saumur at Easter 2009. He has now competed at many internationals, including his Championship debut with the GB junior team in 2011. Since then he has won a Gold and silver medal at the Junior European championships in Pas de Deux and two bronze medals in the individual male class. Billy came to our club at the end of 2012. Born in 2001 he has now taken to vaulting having competed in France, the Netherlands, Germany and making his European debut in Hungary in 2014. He has since competed at home and many internationals with the team, individuals and pas de deux. Jack joined us at Christmas in 2014 and is beginning to learn the art of vaulting. He made his international debut in the spring of 2015 and went to the European Championships in Aachen 2015 carrying our pas de deux. Wee County is run on a voluntary basis so without our lungers and coaches we wouldn't have a club. John Eccles is one of our main coaches, he is a British level 4 coach. We are very lucky to have parents who put in a lot of effort to enable the club to run smoothly, be it lunging, coaching or fixing up catsuits. We are always keen for them to sit their coaching levels or have a go at lunging in order to grow the sport. Our older vaulters are also encouraged to take up their coaching levels and help with encouraging and growing the sport. We have a bout 30 vaulters in Wee County at the moment, but always welcome new members. We encourage our vaulters to compete internationally should they wish and we aim to make three international trips a year always gearing towards selection to represent theam GBR at the junior or senior championships.. We have a Pre-Novice team and a Novice/Intermediate team and a lot of our junior members are part of the Scottish Equestrian Vaulting Team. Wee County have had vaulters representing team GBR every year since 2005, in either Junior or Senior level. We are the only British club to have won an FEI medal, and we have managed to win 15 accross the individual and Pas de Deux classes. At a less serious level our vaulters participate as individuals, pairs and team in walk or canter at local competitions. We also do a range of shows and local demonstrations to promote the sport and have a bit of fun. Wee County was the first team from Britain ever to win a CVI** abroad!! This was at the CVI** in Houten in the Netherlands. 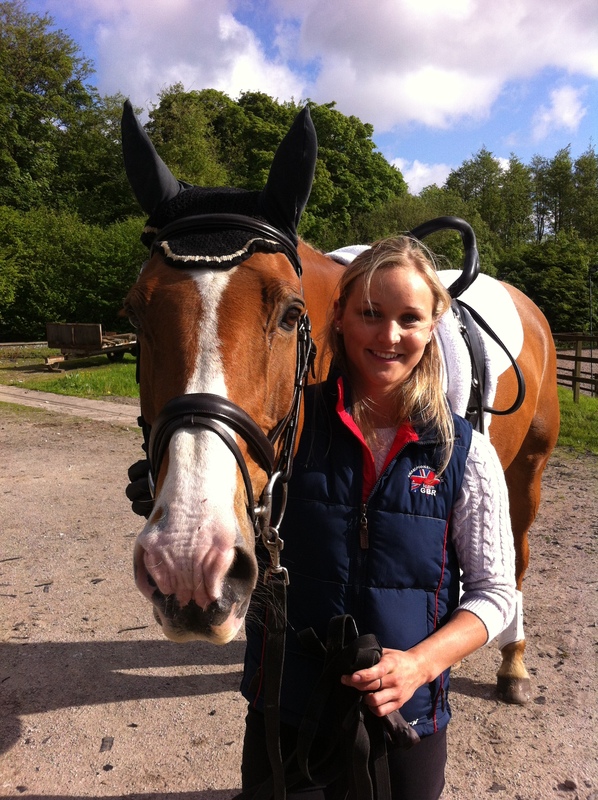 Joanne Eccles was the first British individual to win a CVI** and Hannah Eccles was the first British Junior individual to win a CVI*. Vaulting is a great way to make new friends, learn a new sport and have fun all in one! !